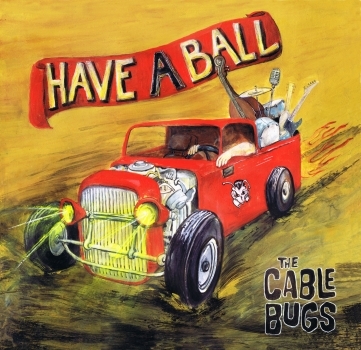 ‚Have A Ball‘ is the new studio release of the german-belgian Band ‚The Cable Bugs‘. ‘. Serious and powerful rock’n’roll/rockabilly is what you get here. On this record the influence of the four musicians is compressed into 12 own songs as well as a new arranged version of Roy Brown’s ‚Black Diamond‘. Diceman, Kalle, Richie and Johnny give you the low-down with two dimed Fender amps, a brisk Ludwig drumset and a merciless doublebass. Let’s have a ball!